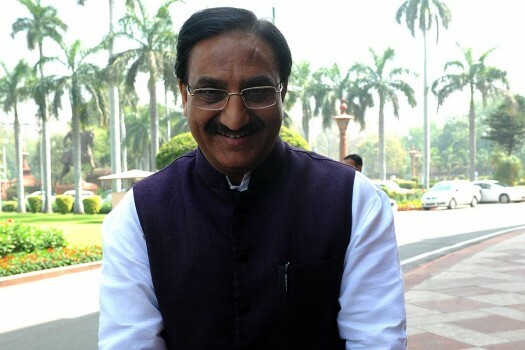 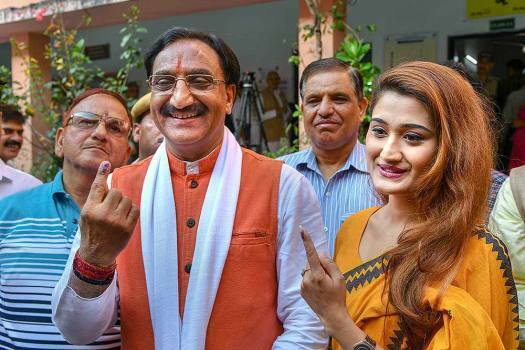 Uttarakhand former Chief Minister and BJP Lok Sabha MP Ramesh Pokhriyal 'Nishank' outside Parliament during the budget session, in New Delhi. 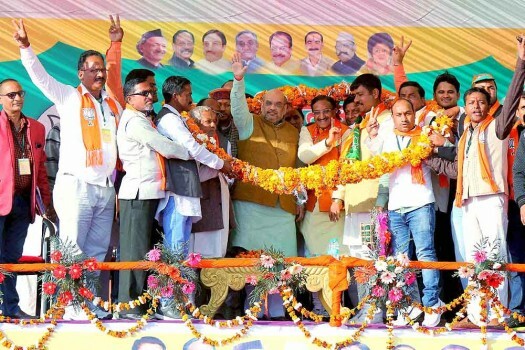 BJP National President Amit Shah with party leader Ramesh Pokhriyal and others waves at crowd at an election rally at Ramleela Ground in Pauri, Uttarakhand. 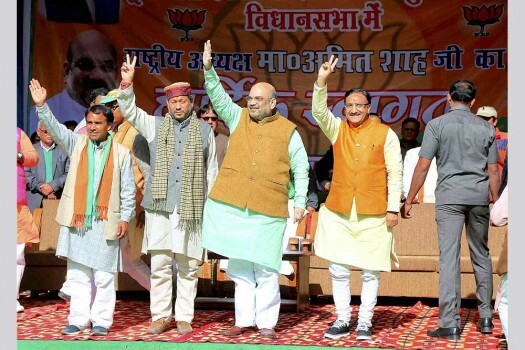 BJP National President Amit Shah with party leader Ramesh Pokhriyal and others during a public rally at MP Inter College Ground Ram Nagar, in Uttarakhand.